New businesses and communities are rapidly growing. As growth in business increases, responsibilities towards of employees also increased. The HR department is one who records the employee’s salaries, bonuses and deductions. It is difficult for them to handle all these tasks in the end of the month. In this situation, Payroll Software in Saudi Arabia can play a major role to reduce your burden. To calculate salary of every employee is a time-consuming but with the help of this software they can easily manage all unproductive activity and you can easily focus on other task. For any company maintaining employee’s updated information is important. HRMS is a software application that combines many human resources functions, including benefits administration, recruiting, payroll and training, and performance analysis and review into one package. 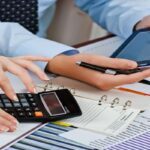 Payroll processing is a most difficult and important task for any organization. One error in payroll processing can cost money and reduce employees trust on the company. Many times error-prone payroll becomes one of the reasons for employee’s high turnover. To tackle this challenge this software comes with all integrated payroll. For maintain a well organized payroll system first you have to keep your data like attendance, leave and salary that will automatically be prepared from the various module. 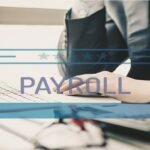 So you can process payroll quickly. It is a known fact that during month-end, the HR representative who takes care of recording and collating the month’s attendance for payroll is the busiest and becomes the most important person in the whole organization. Attendance Software in Saudi Arabia can easily integrate with any Bio-Metric machine to capture in-out attendance punching data. An employee can also apply for attendance correction for punch missing or any other reason. It can be easily managed by Shift timings, week offs and overtime of the employees. Every employee needs Leave to take a break from work. But to maintain the leave of every employee is no easy job. An employee can check their leave balance with the help of Leave Management Software in Saudi Arabia. It can automatically check all your leave with pay and leave without pay data and easily generate the whole month pay slip accordingly.